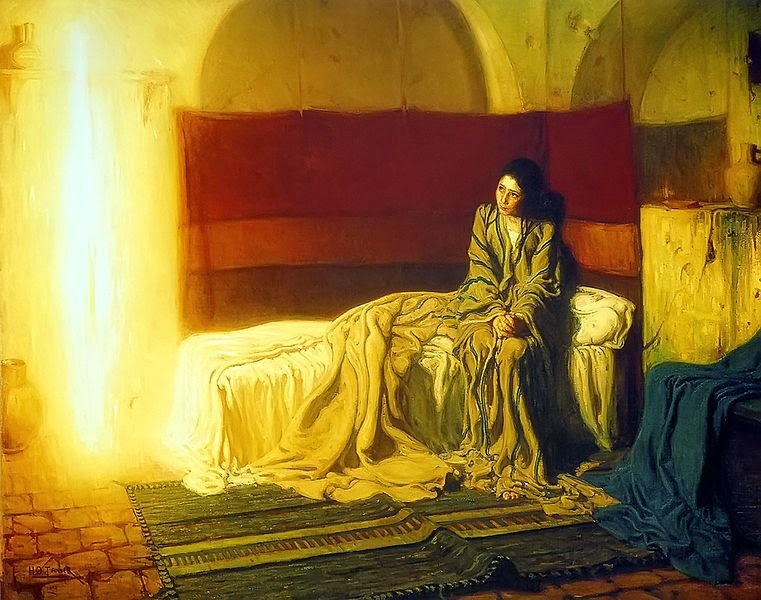 In light of yesterday's post I wanted to share again another favorite Advent painting: Henry Ossawa Tanner's The Annunciation (oil on canvas, 1898). As I mentioned last year when sharing this, this is my favorite depiction of Mary's visitation by the angel Gabriel. Mary is a youthful teenager, looking scared and vulnerable. This vulnerability--and even ignominy--is the scandalous and incongruous power of God. On the outskirts of Empire, through this poor, young, frighted peasant girl God saved the world.